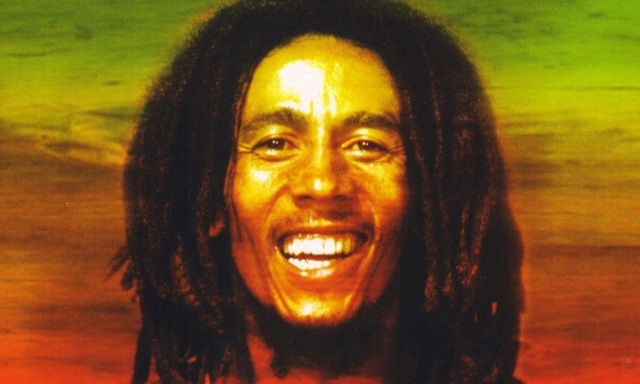 ZIMBABWE – Jamaican reggae singer, Bob Marley who supported Zimbabwe’s struggle for independence and performed at the first Independence Day in 1980 will be posthumously honoured at the forthcoming Zimbabwe Music Awards. With songs such as Zimbabwe and Africa Unite, the icon who died of cancer in 1981 will be accorded a Lifetime Achievement Award. “We sought to honour the role of Bob Marley, 36 years after he graced our first Independence Day and flag raising ceremony in 1980. “We’re honouring him for giving us the de-facto anthem, proudly entitled Zimbabwe, and for leading the reggae music revolution in our free nation which has influenced important music types such as our own Zimdancehall phenomenon,” Zima chairman, Joseph Nyadzayo said yesterday. Nyadzayo said the Zima awards which were meant to be held last month had to be postponed to next year after Marley’s family said they would only be available to receive the award then. Also being honoured at the 2015 Zima edition is South Africa-based dancehall musician, Buffalo Souljah. The artiste who had been on record yearning for recognition will finally be rewarded with an International Achiever award. Buffalo has continuously put Zimbabwe on the world map, scooping over five Channel O Music awards. Locally, eight Bulawayo artistes and producers – Cal_Vin, TKP, MZoe 7, Defined House, KLAP, Skaiva, Nomathamsanqa “Nkwali” Mkhwananzi, and Andy Cutta are in the running for various awards with most of them competing in the House music category. Competing in that category are TKP – Mhururu, DJ Skaiva – It’s Love, Squash – Ngikulindile, Defined House – Achimwemwe and J Dot – You Can’t Say So. In the hip hop category Cal_Vin will be pitted against Trey XL, female rapper Trae Young, I Kat and hip hop stable KLAP. Contemporary musician Jah Prayzah has the most nominations as he is up for Best Male Artiste, Best Collaboration with Ammara Brown for track Kure Kure, Best Traditional Album and Album of the year for Jerusarema. Music video producer Andy Cutta has three nominations for Best Music Video for hit song Alleluya by Roki and XQ, Ndomira Pamuri by Janet Manyowa and I don’t Care When I’m in Love by Candy Main ft Clare. He will be pitted against Joe Njagu for Selmor Mtukudzi’s Zvidikidiki music video. There will likely be a fierce battle for supremacy in the Best Dancehall Music category with Killer T’s Ngoma Ndoimba, Tocky Vibes’ Toti Toti, Winky D’s Awuya Awuya, SoulJah Love’s 2015 Collection and Seh Calaz’s Bandit Rebirth vying for honours. Other nominated artistes include Sulumani Chimbetu, Cynthia Mare, Trevor Dongo, Janet Manyowa, Vabati Vevhangeri, Sebastian Magacha, Takesure Zama, Nesto, Sani Makhalima and Cindy Munyavi. Though a date has not been set for the awards ceremony, organisers yesterday assured music followers that the event would be held early next year. Nyadzayo said Zima had been growing steadily and remarkably over the years, becoming an event most people look forward to. He said it was sad to be honouring Marley in his absence, something which they hope to change by honouring those who will have done well while they are still alive. Last year, Zima honoured Cde Chinx.